Senator Jim Brochin(D) has stated that he wants to reintroduce legislation that would limit the use of freeway speed cameras only to workzones where workers are actually present. Current state law, passed in 2009, permits workzone speed cameras 'regardless of whether workers are present' and in fact the SHA is using them in that way. Brochin and several other lawmakers proposed this change last year, one which we support. The rationale is that under current law a workzone might be kept in place indefinitely if it is profitable to do so, or worse yet a . This might seem unlikely except when you consider the fact that many local governments have been creating vast new school zones solely for the purpose of creating 'school zone' speed cameras... setting up 'two cones and a camera' is not much different. It is also notable that some of the workzones speed cameras are enforcing reduced speed limits, 5 or 10mph below what it was marked at before work began. This is also similar to what has taken place with some local governments' school zone speed cameras, where speed limits were lowered when cameras were added. We view this change as a necessary step to prevent speed cameras from being abused as a revenue source. The SHA has reported issuing 311,345 citations, worth $12.4 million, from October 2009 through November 30, 2010 from just 6 camera sites and the number of sites is expected to be expanded in the future. The majority of citations have been issued at sites where the speed limit is reduced. Worker safety is obviously not an issue if workers are not present. In fact it is questionable whether the speed cameras have had ANY effect on safety: the only safety benefit the SHA has reported so far from has been a small reduction in average vehicle speeds (ie they did not claim a reduction in accidents), which is the same amount of speed reduction that the SHA's own study attributed to the use of radar speed display signs which do NOT issue tickets. It so happens that such 'Your Speed' signs are in fact in use at the workzones where the speed cameras are used, meaning any reduction in average speeds could be entirely attributed to the use of those signs. This legislation (Senate Bill 30) must pass the Judicial Proceedings Committee in order for the full senate to consider it. You can Contact the Judicial Proceedings Committee if you wish to express your support for this legislation. 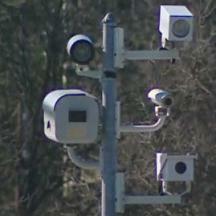 We expect other legislation will be introduced to remove restrictions on speed cameras. In fact last year that's exactly what happened: this proposed change never made it out of committee, and instead legislation to permit College Park to run cameras 24/7 and reducing the amount of oversight the creation of new school zones receives was quietly passed instead. The only thing that prevents this is if state lawmakers know you are watching. You can find your state lawmakers HERE to inform them that you support this legislation and believe we need more, not fewer restrictions on the use of speed cameras.